With summer holidays upon us, the outdoor use of LPG cylinders dictates some rules aimed to guarantee safety standards, following the UKLPG warning to people planning a camping or caravanning vacation, to avoid the dangers of carbon monoxide (CO) poisoning. Carbon Monoxide (CO) is a poisonous gas which can be formed by the burning of any carbon based fuel, and can build up in an un-ventilated space. As UKLPG has reported, every year around 200 people go to hospital with CO poisoning and sadly for around 40 of these, it proves fatal. It seems that one of the main causes of these incidents has been bringing charcoal barbecues inside tents, but there is also a need to be vigilant with portable gas appliances, such as gas lamps and gas cookers, used in camping and caravanning. Rob Shuttleworth, Chief Executive of UKLPG, has revealed many people do not know anything about the dangers of CO on holiday. For example, British people do not understand that a smoking charcoal barbecue in a tent, caravan, motor home or room can result in CO poisoning. More than a third did not realise that using a portable gas camping stove inside can be a potential danger and how much CO can build up in a poorly ventilated space, such as a caravan. Since 2011 the UKLPG Technical and Safety Management Team, the LPG industry’s expert group, recognised a small but concerning increase in the number of CO incidents relating to camping – predominantly as a result of people taking stoves and BBQs inside their tents for warmth. 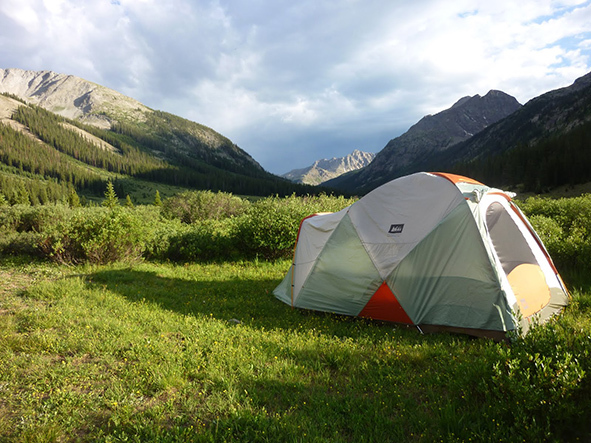 For this reason, the industry felt that it had a duty to increase awareness of the dangers of taking cooking, heating and lighting equipment into tents. In small enclosed spaces such as tents or caravans the gas can build up to fatal level quickly, so it is essential to ensure ventilation and never take these appliances indoors, even if it starts raining or is particularly cold, or windy. LPG stoves, lights or heaters can be used only outdoor. Somebody may exchange a tent as an outdoor space, but surprisingly they are not well ventilated. Eventually, if they are used there, there is a risk of CO poisoning and fire. It’s inadvisable to use these appliances near flammable materials, including fabrics and long grass, and to smoke when changing cylinders and cartridges. It’s important to remind to use the appliances in accordance with the instructions. It is important to keep LP Gas cylinders and cartridges outside tents, change cylinders and cartridges outside away from any source of ignition and check the appliance is in good order, and undamaged. In case of doubt, it is advisable to avoid any use. Camping is a popular and fun pastime and because of its portability, composite LPG cylinders are ideal to enjoying your time. Indeed, when going camping you generally carry a backpack and due to their light in weight, especially the smallest size (2 kg) can be a perfect alternative for heating and cooking. After all, composite LPG cylinders, by eliminating any risk of damage both for environment and personal health, are going to reach the safety standards the associations as UKLPG get ready to deliver, in order to increase the users’ awareness on the matter and guarantee a safe summer camping.